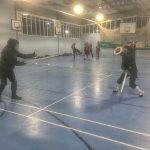 It was the last training session before a number of students head up to Fightcamp this weekend where they will be taking part in various tournaments and seminars. 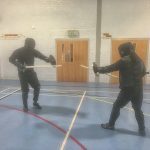 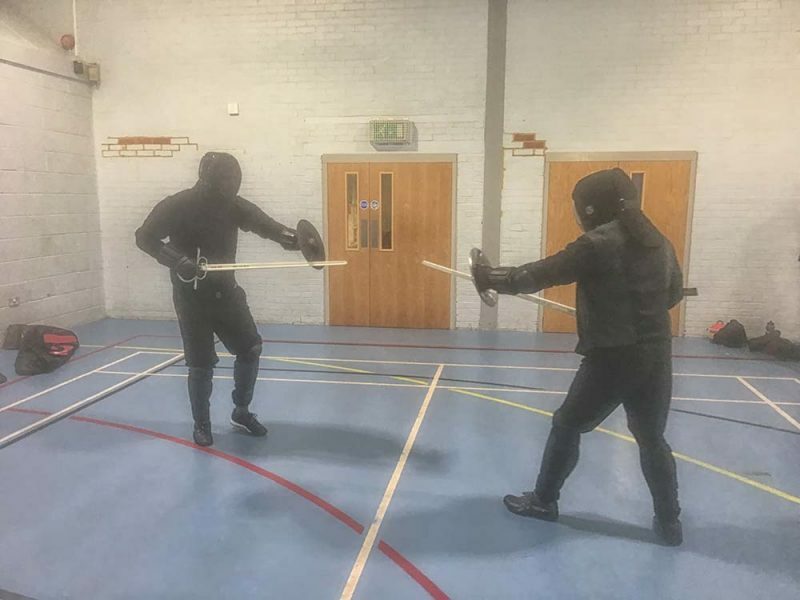 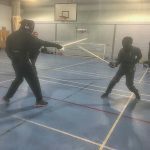 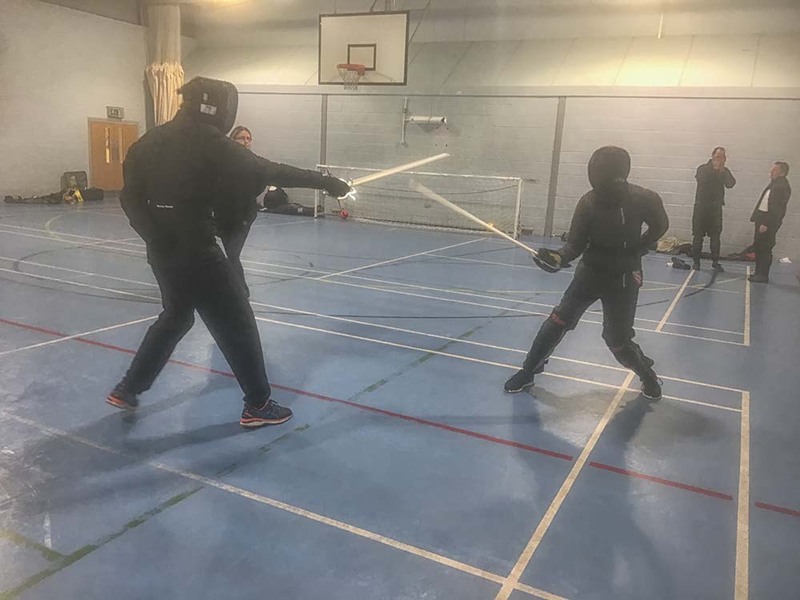 So the focus of the evening was very much on sparring with a number of judged exchanges between students across a number of weapons disciplines. 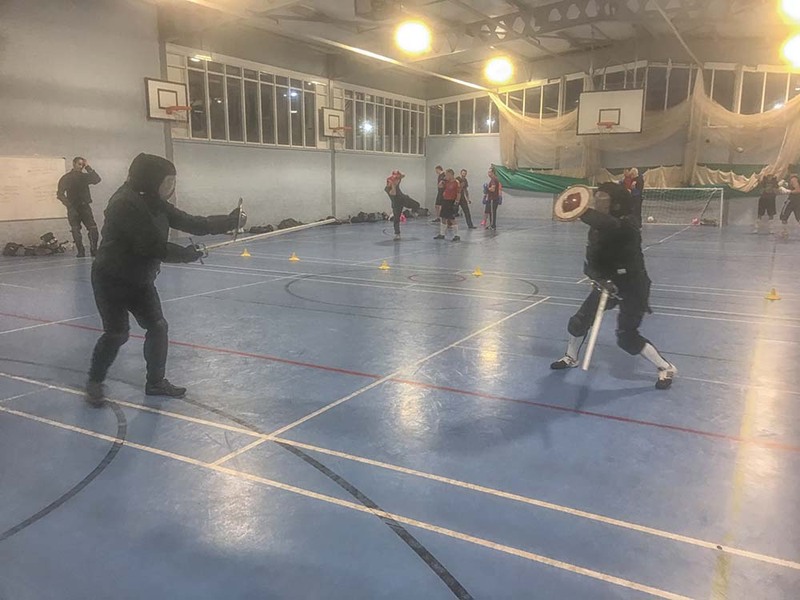 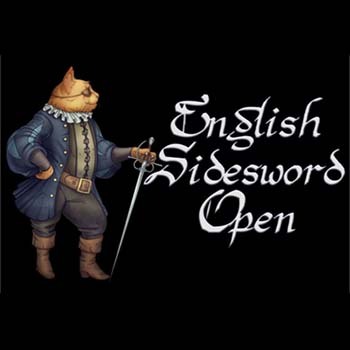 There was a good quality of swordplay and sportsmanship across all experience levels, and all left feeling thoroughly exhausted.